2012 was a busy year with WorldDMB members represented across Europe and Asia Pacific through attendance at events and WorldDMB led workshops. 2013 will see further tailored industry events for broadcasters and the automotive industry. The automotive industry will continue to remain a top priority for the Project office. The focus on supporting the automotive industry will be highlighted in a series of tailored one to-one automotive manufacturer information sessions on all aspects of going digital which will be held throughout this year. WorldDMB will continue to focus on ensuring that members see value for money from their membership and urge members with questions about all aspects of digital radio rollout and implementation to get in touch with the Project office. We encourage also members to actively participate in the different WorldDMB committees. 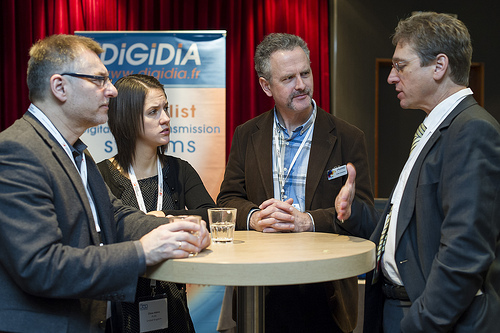 Through joining one of the committees your organisation can have direct input on key decisions that affect the whole of the digital radio industry. 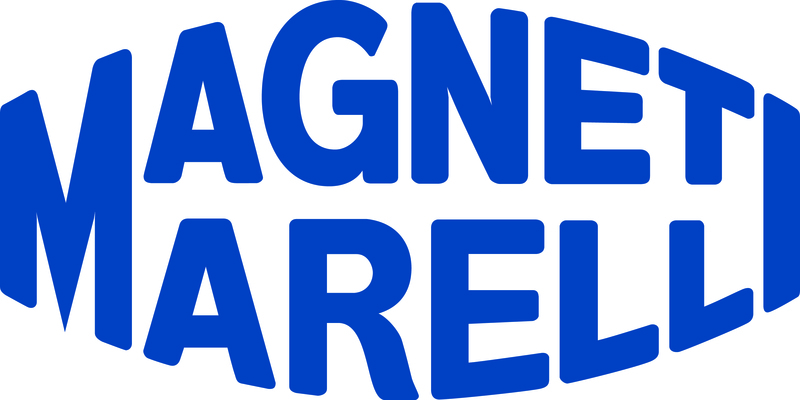 Magneti Marelli s.p.A. is an international Group committed to the design and production of hi-tech systems and components for the automotive sector. With more than 34,000 employees, 83 production units, 12 R&D centres and 26 application centres, the Group has a presence in 18 countries and supplies all the most major car makers in Europe, north and south America and Asia. Magneti Marelli’s mission, as a worldwide automotive parts supplier, is to make its key technologies available to its final customers at an affordable price by matching high quality and a competitive offer, technology and flexibility. Magneti Marelli is providing its know-how and wide-ranging expertise in electronics through a process of on-going innovation and environmental sustainability in order to develop intelligent systems for active and passive vehicle safety, on-board comfort and powertrain technologies. The telecommunication company Teleko, s.r.o. launched a new DAB radio transmitter in Liberec, Jablonec and Nisou and surrounding areas on 19 December 2012. The transmitter ‘Liberec – Proseč’ broadcasts on channel LL with a radiated power of 1 kW and broadcasts a mix of 15 DAB and DAB+ programmes. 38% of the Czech population has terrestrial digital radio coverage. A signal is available in Prague, Příbram, Brno, most of Moravia-silesia, hradec Kralove, Liberec and parts of Central Bohemia. Users can tune in to Cesky rozhlas – ČRo 1, ČRo 2, ČRo 3, Leonardo, Wave, Česko, D-dur, private radio stations PRoGLAs, GAMA RADIo and seeJay Radio. Foreign programmes include informative programme Radio Vaticana, the hit commercial station RTL 102.5 and all-music programmes RTL Classic, RTL Groove and RTL Italian style. The offer of new programmes and signal coverage will be increased in the coming months. With the introduction of the sAF775x, nXP has set a new milestone in radio processing, by integrating two independent tuners onto a single die and creating a much more compact solution to significantly lower system cost. This integrated dual-tuner device offers more than twice the processing power of previous generations, enabling superior radio performance and better all-round reception quality. The IC also includes an ‘open’ Tensilica hiFi 2 Audio DsP for customers to program their own features, or to run those of third-party software vendors. This gives car radio manufacturers the choice and flexibility to differentiate their car infotainment solutions without resorting to expensive external ICs. In the closed Members’ Area of the website WorldDMB members can access a range of useful resources. The Members’ Area is broken down into the following sections; Committees WorldDMB has the following Committees; Technical Committee (TC), Regulatory and spectrum Committee (RsC) and Asia Pacific Committee (APC). Each of the Committees has a dedicated section providing Committee information and relevant documentation, in addition to Committee participants and related Task Forces. WorldDMB Meetings here members may register for upcoming WorldDMB meetings for example, Technical Committee and steering Board meetings or the WorldDMB General Assembly. Document Search search through our online library of documents, from Committee reports to MPEG Liaison statements. Members can search by Committee or document category. General Assembly Members can view contact details for each registered member via the Member’s Area of the website. This feature makes it easy for members to freely network with one another. This is where members can share documents with all members, certain committees, or individuals. Example of documents shared include, ‘Guidance documents on the proposed list of visual and data services in Germany’, ‘Full list of digital radio receivers available in Germany’ and ‘Requirements on service following from sweden’ and WorldDMB standards and specifications. Access a Guidance document, ETI File Converter, ETI FAQs and over 50 ETI Files. 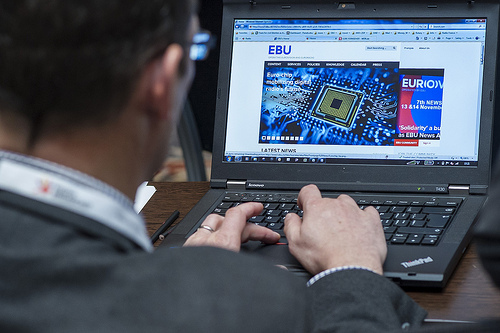 The WorldDMB ETI Library is a user friendly online database containing country snapshots of DAB, DAB+ and DMB (ETI files from different markets), ETI files configured with multiplexing equipment from specific manufacturers as well as files which can be used for demonstration and testing purposes. In this section steering Board members may view Task Forces and active member participants and a list of upcoming meetings to register for. steering Board members may also download WorldDMB steering Board specific documents, for example meeting minutes and strategy documents. Access to the twice yearly Global Broadcasting Update before it is released to the general public. Here members can access information on the current DAB royalty structure. This entry was posted on February 25, 2013 by WorldDAB in Automotive Industry, Digital Radio Rollout, WorldDAB Project Office.